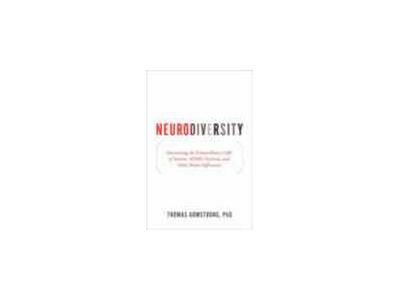 "Neurodiversity" by Dr Armstrong - Brilliance "Neurodiversity - Discovering the Extraordinary gifts of Autism, ADHD, Dyslexia and other brain differences. This book has it all - what research tells us about the specific strengths for each disorder - why disability labels are culturally relative - how to take advantage of assistive technology - career paths that emphasize the gifts of neurodiverse adults - why inclusive classrooms offer the best learning experience. Honestly - I read about three or four books a week - all wonderful - this one - this one is the ONE! Join us on our Blog Talk Radio Tonight 9pm est with Dr Thomas Armstrong EXTRAORDINARY!